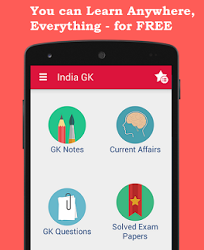 25th, 26th January 2017 Current Affairs MCQs, Quiz, Questions: Current Affairs for January 2017, Daily Multiple Choice Questions (MCQs) for India GK, World GK and current affairs with Collection of daily objective type Question by www.Indiagk.net based on General Knowledge (GK) and General Science (GS) Questions for UPSC, State PSC, SSC, Police exam, Railway exam, SBI, Bank PO, IBPC, SSC, LDC, UDC, Army, Airforce, Navy, Coast Guard, Bank Clerk, TET and all entrance examination with current affairs News, Multiple Choice Questions (MCQs) available on Website www.IndiaGK.net and Android Apps with daily updates:. Which movie equals record with 14 nominations at Oscars 2017? Which state will become the Indian state to opt for electronic transmission of postal ballot to service voters? Who among following is not among Padma Vibhushan awardees 2017? Which famous building, light up on 25th January in tri-colours to Mark 68th Republic Day of India? Alexander Kadakin, who passed away recently, was the ambassador of which country to India? Who was awarded with the gallantry award Ashok Chakra on the 68th Republic Day of India?